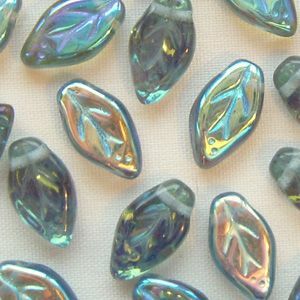 These pretty Czech glass leaf beads measure 5mm x 10mm. The hole is side to side across the top of the leaf. They can be used to embellish beadweaving designs, and in jewellery making.